Close your eyes...if you can dream it, together we can achieve it! I know it can be overwhelming with all of the options online so I offer guidance based on personal experience. I am a certified Jamaica Travel Specialist, however, there are many wonderful resorts and destinations around the world waiting to welcome you and share their culture with you! The next step is to choose your travel dates. After all, when don't you need a vacation? I can recommend dates that best align with your busy schedule. Simply contact me today to get started on your FREE quote! Take a romantic stroll along the beach, play a round of golf on a PGA course, become a certified SCUBA diver, zip-line through the jungle, climb a waterfall, or simply relax and read a book in a hammock. It's all about you! Reconnect with family and friends - it's all about living life along the way! It's simple! I will take care of the details and provide a customized itinerary of your vacation. Your job is to have an unforgettable experience. Let the memories begin! Check out these amazing destinations and adventurous excursions! I have visited several of these beautiful vacation spots and would love to share with you what they have to offer. Simply contact me to learn more about a specific location or for a vacation recommendation. Soothing waves, lush tropical gardens, gourmet cuisine, and warm hospitality await you! Adventure is calling! Try horseback riding, ATVs, snorkeling, parasailing, scuba diving, hiking, swimming with the dolphins or a sunset cruise...just to name a few. Broadway Shows, Luaus, Glaciers, Historical Sites, and Museums all right here in America! You work hard all year long making a living and providing for your family. You deserve a special getaway to spend time with those you love most. What better way to thank your spouse or family than to spend time vacationing together? Dawn did an amazing job planning our trip to the Dominican Republic. The resort was amazing and beautiful. We had an awesome time. Dawn planned our honeymoon to Negril, Jamaica and we absolutely loved it! She was so amazing and easy to work with, she planned the whole thing from the flights to the transportation and resort! All we had to do was tell her what we were looking for and she hit the nail on the head with the perfect getaway! The best part is she sent us to paradise and she had already been there so it made us that much more comfortable. We will definitely be going through Dawn again for all of her expert travel advice and planning! 😀 Thanks Dawn! With all of our requests and small travel window – Dawn handled everything and she was able to take away all the vacation-planning stress. Cancun was amazing and relaxing! Thank you, Dawn, for making it a dream week! 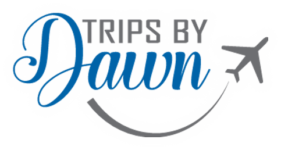 Trips by Dawn is a full service travel agency located in West Bend, Iowa specializing in romantic honeymoons, tropical getaways, and family adventures, dedicated to coordinating your most memorable vacations. Start packing! I'll take it from here.